As a Lakers fan, this has been the worst season I can remember in a very long time. The back-to-back NBA titles in 2009 and 2010 seem as if they were decades ago. It’s a year that, much like last season, has been defined by major injuries to key players. I could go into detail about all the trials and tribulations, but those have been, and continue to be, hammered on by beat writers covering the Lakers. The bottom line is, this year’s team is little more than a D-League group. For those non-NBA fans reading this post, the D-League stands for Developmental League and it’s comprised of players who either didn’t make it in the NBA or have been sent there by their respective teams to get playing time because they aren’t good enough to see minutes in an actual NBA game. As such, the players on this year’s Lakers simply don’t have the talent to compete with the league’s top level talents like Kevin Durant and LeBron James. Truth be told, they don’t have the talent to compete with most non-All Stars of the league either. These Lakers are role players who, in a normal season, would play 15 – 20 minutes a game tops. Instead, they are forced to play 35 to 40-plus minutes because all the players who were expected to be starters are sidelined with lengthy injuries. The results, of course, speak for themselves: 18 wins, 34 losses. Sadly, there are still 30 games left to play. Records are falling every game, and not in a good way. I expect many fans have stopped watching the team this year, but I’m not among them. I’ll keep watching for the rest of the season because A) they are my team and I’m not a fair weather fan, and B) losing is a part of life. No team can win it all every year. Many teams have never won an NBA title, or even come close. That doesn’t mean the players on those teams aren’t trying their best (with the possible exception of Andrew Bynum, good luck Pacers, lol). It can’t be easy to go out each season and lose more games than you win, but that’s often the reality of professional sports. It’s also the reality of life. Just because we aren’t at the top of our chosen fields doesn’t mean we aren’t contributing to said fields. As a writer, I’ve accomplished only a fraction of what I’d hoped to at this point in my life: two non-fiction books sold via the conventional route. I had expected my resume to include at least three novels by now, but it hasn’t happened. Does that mean I’m a failure? Some will answer yes, but I’m not among them. There are tons of good writers out there who haven’t sold any books. That doesn’t make them failures. Like professional sports, writing is a tough business. It takes talent and a good amount of luck to hit it big. Maybe it turns out I’m more of a D-League player. So what? Those guys are full of passion and love for the game, even though they aren’t getting paid millions of dollars to suit up. I don’t need a six figure advance to write a good book; I just have to write stories that people enjoy reading. Our regular readers know I’m a huge NBA fan, and that I count Kobe Bryant among my heroes. He shares that treasured status with Elvis, who I have admired since I was a shy but determined to make something of myself 12 year old girl. Kobe has been on my short list—and it’s truly short, as he and Elvis are it—since January 2006, when he had that 81 point game against Toronto. I watched, mesmerized at how he was able to single-handedly bring his team back from the brink and turn what was on track to be a humiliating home loss into a highlight reel that would be watched over and over again for years to come. This past Wednesday, I watched in a similar state of awe as Bryant worked his magic again, this time against the under-achieving New Orleans Hornets, a team which has won only a handful of home games all season. At one point, the Lakers found themselves down by 25 points in a game they absolutely had to win to keep their playoff hopes alive. They still trailed by 18 (75-93) to begin the fourth quarter, one that had Hornets fans on their feet, cheering what was certain to be a major upset, a tiny flicker of feel good in their season of lost desires. Twelve minutes later, the Lakers walked off the court with a 108-102 win. 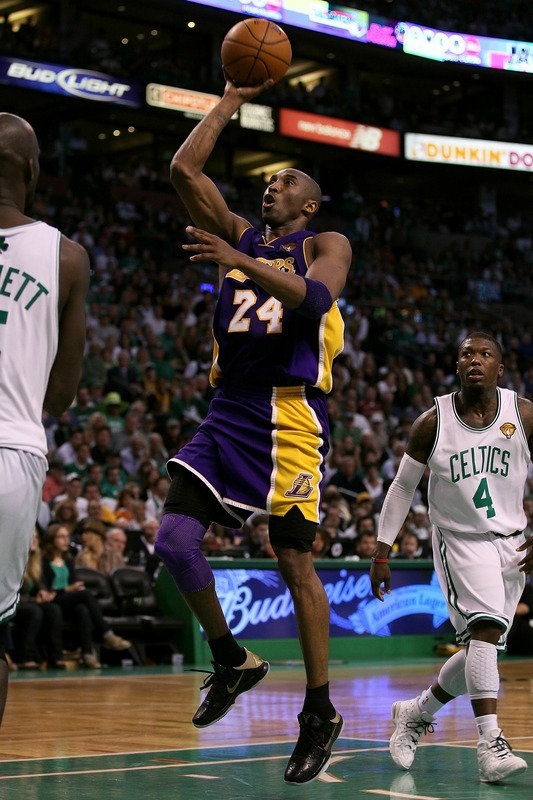 During those twelve amazing minutes, Kobe scored 18 points on seven-for-eight shooting and added four assists. He finished the game with 42 points, 12 assists, and 7 rebounds. Granted, he had some help from Dwight Howard, who posted his best game as a Laker with 20 points, 15 rebounds, and four blocked shots, the last of which was critical to preserve the win. But I know, as does every Laker fan, that it was Kobe and his refuse to lose attitude that won the seemingly unwinnable game. It’s no secret that it’s been a tough season for the Lakers. What was expected to be a championship contender has struggled to stay within striking distance of the playoffs all year. The reasons are many: major injuries to key players, a coaching change (of which I still say thank you, Dr. Buss), too many new players, a difficult schedule, and the recent passing of legendary team owner Jerry Buss, may he rest in peace. But Kobe isn’t one to make excuses, so neither will I. The Lakers should have a much better record than 31-31. Nonetheless, they are still alive and kicking because Kobe will not accept anything less than qualifying for the playoffs, even if it kills him. And frankly, most days I’m surprised it hasn’t. Here is a 34-year-old guy who still goes to the gym at 4:30 in the morning to work on his game, which often includes taking some 800 practice shots. He takes ice baths after games to keep the swelling down. Not ice packs on the joints like I use for my tendonitis and arthritis, but ice baths. He maintains a healthy diet of lean meats, fruits and veggies. Namely, he does everything humanly possible to keep his body in top shape. A body that has logged an enormous number of miles over his 17 year career. As a result, as incredible as it is to say, he is playing better this year than he ever has. There is talk of retirement when his contract ends after next season. Talk that I can certainly understand from Kobe’s standpoint. I can’t imagine how hard it is to do what he does every single day. As a basketball fan, however, I want the Mamba—or, as he has recently been dubbed, Vino, to keep doing all those things and more so he can play forever. Frankly, I just can’t imagine watching Laker games without that fine wine, number 24, dripping his magic on the court. Regardless of who has donned the Purple and Gold in the past and who will proudly do so in the future, I am certain of one thing: there will never be another player who displays the type of lead-by-example work ethic of Kobe Bean Bryant. Greatest Laker ever? Yes, and it’s not even close. Best NBA player ever? At this moment, it’s probably a dead heat between Jordan and Kobe, but when all is said and done, I truly believe Vino will prevail. This morning I was thinking that if I possessed even a fraction of Kobe’s determination, I would likely have penned several best sellers by now. I suppose there’s still time, so I best sign off this blog and get to writing them. Okay, this post is for NBA fans only, and so I warn you beforehand, it will have absolutely nothing to do with writing (except for that fact that it is bothering me to the extent that I can’t concentrate on writing). Kindly, Julia told me today that she believes we should be free to write things that are weighing on our minds whenever the mood strikes. And so, after watching my beloved Lakers lose their 12th straight game last night to a team with inferior talent, there is indeed something weighing on my mind. 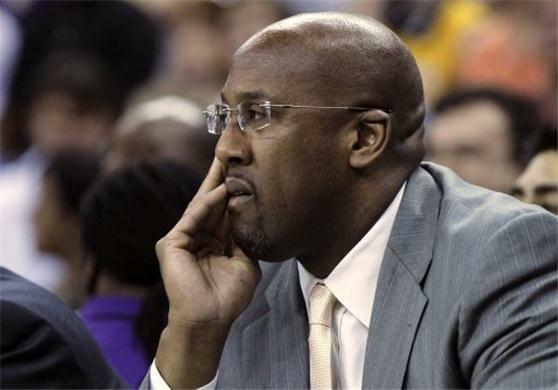 PLEASE FIRE MIKE BROWN! Please, please, please, please. Our team—well, okay, actually it’s your team, kind sir, but you have through the years made it feel like the Lakers belong to all of us who follow them—has a fantastic chance to get number 17 this June. Number 6 for Kobe. And number one for Steve and Dwight! Listen, this team your group put together with Mitch is amazing. I have never been more proud to be a Laker fan. There is only one thing standing in the way of this super team reaching its goal, and we all know what it is. Who it is. Look, I don’t know Mike Brown. I’ve never met the guy. He seems like a nice enough fellow. But so is my dentist, and I wouldn’t expect him to be hired as Laker head coach. Since Brown’s hire last summer, I have tried to figure out how he got the job. He managed to get the Cavs to the finals once thanks to LeBron, but had no idea what to do once he got there, as evidenced by the losses as he paraded up and down the sidelines with a confused look on his face. Now we Laker fans have to look at that confused face night after night after night. Let’s face facts: Brown started his basketball career as a video coordinator. A video coordinator! How in the world that translates into a head coaching job with the premiere franchise in the league defies explanation. At least any logical explanation. Whatever was on those DVDs he showed to Jimmy Buss when interviewing for the head coach vacancy must have been magic. Maybe they had some kind of subliminal messages inscribed in the content, like an old X-Files episode that comes to mind. Whatever the reason, it’s time for Jimmy to admit his mistake and move on. The Lakers are not a team that’s used to losing two in a row, let alone 12, dating back to last year’s disastrous playoff series against OKC. While it’s true that 8 of those were preseason games, a loss is a loss. And the fact that those losses don’t seem to bother Brown in the least (at least according to his public comments) proves he is the wrong man for the job. A team that has a starting lineup of Kobe Bryant, Steve Nash, Dwight Howard, Pau Gasol, and World Peace (aka Ron Artest) is not a team that should lose more two games in a row all season. Brown’s silly Princeton offense, which basically negates the signing of Steve Nash by taking the ball out of his hands, is both foolish and boring. And for all the talk of Brown being a great defensive coach, our poor defense and ridiculous number of turnovers suggest otherwise. I realize Dr. Buss will never read this post, but perhaps it will spark other people to step up and be heard, people who Jerry knows and respects. (Magic, Mitch, and Jerry West, are you guys listening? And by the way, thanks Charles and Kenny for calling the Princeton offense what it is–stupid!) So, fellow bloggers, let’s get moving. The more of us who ring in on this, the better chance it will pick up speed. I just visited a Facebook page dedicated to getting Brown fired. (http://www.facebook.com/pages/Fire-Mike-Brown/377663348927041) And I rarely visit Facebook, let alone sign in and post a comment. But this thing has begun to take over my life. It’s all I find myself thinking about, how great our team could be, how much fun it will be to watch them win games by margins of more than a few points (as it went last year). That can and will happen, as soon as we show Mr. Brown the door. And please, Dr. Buss, do it sooner rather than later! From time to time, Julia and I have agreed we can use this blog to rant, rave, and vent about topics that might not have anything to do with writing. Today is one of those days, so all of you who don’t care about basketball and the NBA, my apologies for having bothered you today. For those you who don’t follow the sport, you probably don’t even know, let alone care, that the NBA is on strike. All of November’s games have been cancelled by the league’s commissioner, David Stern. Given how the league’s owners and players have been fighting over the details of a new collective bargaining agreement since June, there has been virtually no NBA news all summer. That means no trades, no free agent signings, no summer league, no training camp. Nothing. Natta. Nil. And all of that means that once an agreement is finally reached, there will be a period of at least another six weeks for teams to get their houses in order before any actual games can be played. So realistically, fans can’t expect to have any games to watch before the first of January, at the earliest. There will be fewer games this year because of that lost time, which, for older teams like the Lakers and Celtics may actually wind up being a good thing. But for fans in general, what it means is we will spend less time watching our favorite sport. I don’t like that, but I can live with it. But I have to wonder about the tens of thousands of people who depend on the NBA season for their weekly paychecks: Arena vendors, parking attendants, ticket takers, referees, security guards, game announcers and camera crews to name a few. No games means no jobs. And it goes beyond the people who work at the arenas. There are thousands more business owners who look to basketball fans to eat at their restaurants, drink at their bars, and park in their lots. In my 2007 book, Hoop Lore, I discuss how difficult it was for the NBA to attract and maintain a solid fan base over the years. When compared with the NFL and major league baseball, the NBA still falls short on that end. But the league has been making solid progress since the early 1980s, when Magic and Bird arrived on the hardwood, and after them, Michael Jordan. There was a reversal of fortune in the 1990s for too many reasons to go into here, but suffice it to say, the league managed to rebuild again and secure what is probably its best ever following on a worldwide scale. Sadly, all of that is now in jeopardy. Apparently, little was learned from a similar situation in 1999. I don’t have a horse in this race. I feel both owners and players are equally responsible for the mess they have created. The current minimum annual salary in the NBA ranges from about half a million dollars for a first year player to $1,350,000 for veterans. The average player makes about $5.5 million, and the league’s superstars upwards of $20 million. Owners are whining about losing money hand over fist. Even if this is true, Forbes estimates the average NBA team is currently worth $369 million, which suggests those owners are probably not struggling to pay their mortgages. The real problem with all of these numbers is that the fans, those of us who buy the tickets and merchandise and cable subscriptions that make those insane numbers possible, are finding it rather hard to accept that millionaires and billionaires are squabbling over what amounts to pennies in our eyes. Maybe they haven’t heard the country has been in a deep recession for the past four years, and as a result, no one is making as much money as they were five years ago (if they are lucky enough to have a job at all). Or perhaps they just believe they are so unique, so special, so important that the everyday makeup of society doesn’t apply to them. Either way, they need a wake-up call. And very likely, that call will come in the form of plenty of empty seats in arenas, smaller TV ratings, and an overall disgruntled fan base that will be looking elsewhere for their sports entertainment. March Madness, anyone? Here today, gone tomorrow. What have you done for me lately? 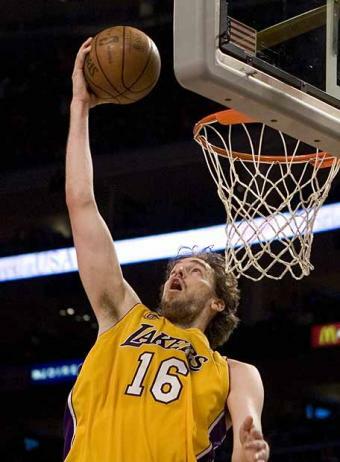 A day after the Lakers were swept by Dallas in the Western Conference semis, a great number of Laker “fans” are calling for Pau Gasol’s head. The same Pau Gasol who proved the missing piece after Shaq left, the Robin to Kobe’s Batman, the guy who helped lead the team to the NBA Finals for three straight years, winning it all the last two. The mild mannered Spaniard couldn’t duplicate his performance this year, so he quickly fell out of favor with the so-called faithful. I know these fair weather fans won’t listen, but the fact is that no one, including my favorite most admired sports star on the planet, Kobe Bryant, played as well this year as in previous seasons. Angry fans want someone to blame, but the simple fact is the Lakers are a tired team. Over the past few years, they’ve played so many more games than most teams via the playoffs that it amounts to nearly an extra season. At 32 years of age, Kobe has a lot of miles on his knees. And while it’s obvious he still has the burning desire to win, his body just can’t do the things it once could. As a result, he isn’t able to go out and score 60 points on any given night, single-handedly willing his team to win. Mind over matter, you say? Ah, if wishes were dreams. Nothing lasts forever. We Laker fans were treated to a great run over the past three years. There are millions of basketball fans who’ve never seen their team make it to the Finals let alone bring home the trophy. Of the 30 teams currently in the NBA, fourteen have never won a title. The Lakers, meanwhile, have 16 Championship banners hanging in the rafters at Staples Center. That’s not to say there isn’t room for 16 more. The Laker franchise knows how to win and it will win again. We will catch Boston, and Kobe will tie or surpass Michael. Meanwhile, let’s take time out to say thanks to our guys rather than request their public flogging. I used to consider myself a very driven person, the type who maps out goals and does whatever it takes to reach them. Back in the late 80s when I first started writing on a serious basis, meaning I actually believed I could write a book and sell it, I became pretty consumed. I read and read and read. Books on writing, books on editing, books on marketing. Competitive titles within my chosen genre and outside of it. Often times, I was reading three or four books at the same time. In between those efforts, I wrote and wrote and wrote some more. I was determined to make it as a writer. Although my determination hasn’t wavered over the years, it has mellowed. I reached my initial goal of selling a book with the 1999 Nixon-Presley title, and followed that up with Hoop Lore in 2007. What I haven’t done is sell a novel or reach the point where I can make a steady living as a writer. Maybe someday I will, but if not, I don’t plan to spend the rest of my life bemoaning my so-called failures. Everyone has goals. Whether those goals are obtainable or not depends largely on how hard we’re willing to work to achieve them. Or more to the point, whether we’re willing to make achieving them the most important thing in our lives. Elvis made music the most important thing in his life and the lifestyle surrounding that thing killed him at 42. 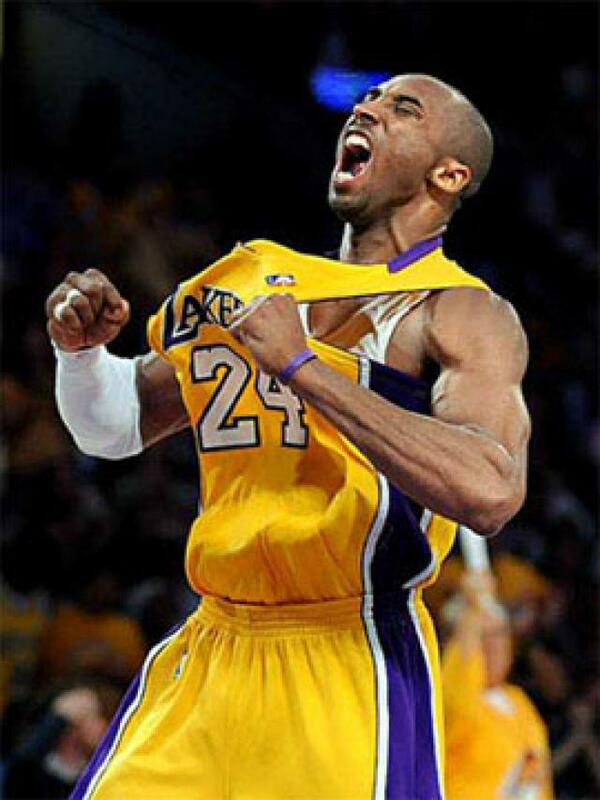 Kobe Bryant makes basketball the most important thing is his life. Kobe seems too obsessed with being and staying the best NBA player in the world to get swallowed up by the fast-paced lifestyle that surrounds him the way Elvis did, but I often find myself wondering whether number 24 ever has time for anything but thinking, breathing, and playing basketball. Say an angel drops out of the sky and offers me the chance for a do-over in which I become a bestselling author. Do I jump at the chance? Sure, until said angel adds that the do-over entails erasing everyone and everything else that has made me who I am today. “You’ll have to concentrate 100% on your writing,” the angel explains. “You won’t have time to get married or raise a family. There’ll be none of those needy, furry, four-legged creatures running all around the house saturating your carpets with hair and your heart with love. You won’t spend sunny mornings puttering around in the garden. You’ll never get addicted to Elvis Presley or the NBA, and you certainly won’t waste your evenings watching old TV shows on DVD. Say what? No Jody? No Katie or Carrie? No Jose or Michael? No Dr. Kookiehead??? (Please see my Photo Flap page for more information.) Not get hooked on Elvis? No NBA? And what was that about gardening? (“No need,” says the angel, “you live in a condo.”) A condo! No. I couldn’t. I wouldn’t. (“Yep. A condo with no TV.”) What? Surely this angel is out of its mind. 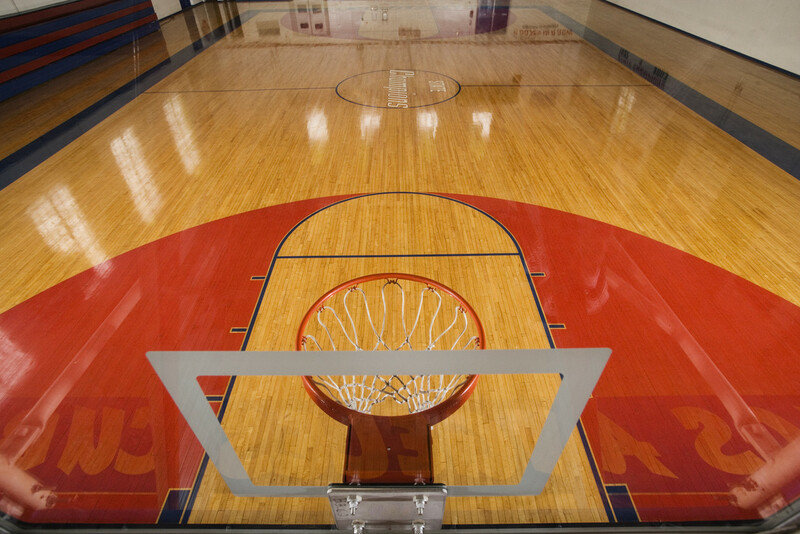 No basketball? No Mary Tyler Moore and Chuckles the Clown? No J.R. and Dallas? No Star Trek? No Battlestar Galactica? And, oh my God, no re-watching every single episode of LOST four or five more times? Seriously? Katie (my daughter) sent me a link to David Brooks’ NYT column this morning, “History for Dollars,” and pointed out how it parallels my heroes post from a while back. She’s right. Brooks talks about the dip the humanities and liberal arts degrees have taken in recent years, how students have abandoned studies that teach them how to immerse themselves in the emotional aspects of life (including language and writing) in favor of specialized careers they hope will pay them mega bucks upon graduation. And surprise, surprise, he even mentions Kobe Bryant in the mix. The money angle Brooks raises is a topic in itself, and it certainly isn’t confined to college students. Salaries in the NBA have grown to numbers beyond my comprehension—and probably that of old school players like Jerry West, Charles Barkley, Magic, and Bird as well, guys who played basketball because they couldn’t imagine themselves doing anything else. I’m not saying today’s NBA players aren’t worth a lot of money; they have skills that make them stand out from 99.9% of the rest of us, and deserve to be paid accordingly. So no, my gripe isn’t with the annual salaries of $10 to $20 million being shelled out across the league, rather the lack of passion that accompanies the majority of those stellar paychecks. I can name on one hand the players in the league today whom I feel play every game as if it’s the most important thing in their life at that moment, and, as previously mentioned, Kobe tops my list. He’s the type who would be doing this for free if that’s what it took to play the game. (Kind of like us hapless writers who keep writing for peanuts, hey?) Kobe’s passion for what he does is obvious to anyone who watches him play—and therein, I think, is why he is among the most hated stars in the league insofar as the media is concerned. They just can’t seem to accept the fact that someone could love what he does that much and be the best in the world at doing it. Or, to put it in simple terms: they’re jealous. And that’s too bad for them because they’re missing a once-in-a-lifetime superstar playing at the top of his game, and doing it with an unsurpassed passion that Brooks calls The Big Shaggy. If the Lakers wind up losing again to the Celtics in this year’s Finals, it won’t be because Kobe hasn’t given his absolute very best. As a basketball fan, I couldn’t hope for anything more.